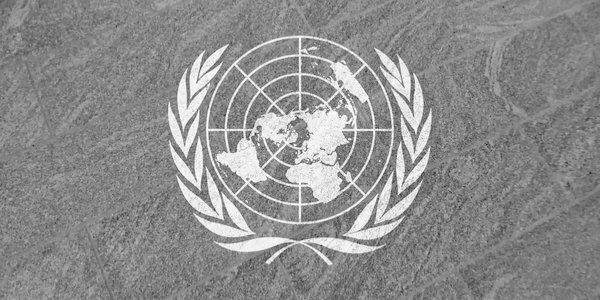 The United Nations was set up in 1945 to unite the world in combating war, destruction and injustice. A mere 73 years later the UN has forgotten these honourable ambitions and is responsible for promoting the misery its original delegates swore to protect the world from. Somewhere along the way the naïve West let the UN be hijacked by Islamists and socialists and so slide into hypocrisy and anti-Semitism. Not only was the UN useless in preventing wars in Korea and Vietnam during the Cold War but its virulent anti-Semitism was no more historically apparent than in 1975. The Soviets, wanting to increase their Cold War efforts against the US – an ally of Israel – collaborated with Yasser Arafat and created the Palestinian Liberation Organisation. Together with the Arab bloc at the UN they proposed the notorious Resolution 3379 which stated that ‘Zionism is racism’ even though Zionism means self-determination for the Jewish people. Chaim Hertzog, Israeli Ambassador to the UN, furiously rebutted the Resolution. On the 37th commemoration of Kristallnacht and mocking the original principles of the UN, the General Assembly ignored him and passed this blood libel. Presciently, Hertzog warned that ‘the candles of civilisation are burning low’. The UN’s cowardly lack of action allowed the Rwandan genocide in 1994, only 49 years after the Holocaust ended. The exploitation of women by UN forces in Bosnia and the Sudan was quickly forgotten. Two themes dominate the UN – the delegitimisation of Israel and criticising the West. Dominated by the Islamist Organisation of Islamic Cooperation (OIC), and associated tyrants and despots, delegates dream up one resolution after the other condemning Israel and finding new ways to admonish the West. The more the UN boasts about its achievements the further it shows itself to be an object of ridicule. Next Monday the UN will be celebrating the 70th anniversary of the Universal Declaration of Human Rights. http://www.un.org/en/universal-declaration-human-rights/ This is no longer worth the paper it was written on. For example, Article 4 states that the slave trade must be abolished. Perhaps the OIC didn’t get this memo. At a time when slavery and servitude is a growing concern, some of its members participate in this abhorrent practice despite claiming to uphold human rights. Although many protocols and resolutions are passed to combat myriad global problems the UN has a very low success rate. This is unsurprising when considering that its main councils and subsidiaries are stuffed full of the world’s worst tyrants. Saudi Arabia laughably sits on the UN Women’s Human Rights Body despite its oppression of women. UNESCO, established in 1945 to protect cultural heritage, devotes most of its time to passing regulations against Israel, as does the ironically named UN Human Rights Council, run by countries like Afghanistan, Pakistan, Saudi Arabia and Venezuela. For all its boasting of championing the oppressed the UN conveniently neglects to address global persecution of Christians. Instead attention is mainly focused on Palestinians who even have their own UN agency – UNWRA. Where is the counterpart for more than 800,000 Mizrahi Jews of the Middle East? Expelled by Arab countries after the UN created the partition plan for Israel in 1947, these Jewish refugees were forced to leave their homes, possessions and businesses. The majority fled to the newly created Jewish state and have never been compensated for what was stolen from them. The UN certainly doesn’t lack funding. Britain alone contributes around £83million a year to it. Why are we funding a despotic organisation which stirs up trouble? In November its Special Rapporteur excoriated Britain on its poverty levels, bizarrely blaming Brexit, propagating the austerity myth and demanding that the government changes its internal policies. The UN has no right to dictate how a relatively free and peaceful country should function. There is something distasteful in demanding that a country in debt must support even more economic migrants than it is doing already. Does the UN want to bleed the British taxpayer completely dry? Poverty is relative and while I don’t deny that there are some who are struggling badly at least Britain has a social welfare safety net. Why does the UN waste resources on reports such as this? Britain is not like the developing world, where there is no government aid and it’s common to die of starvation and exposure if livelihoods are lost. The socialists, tyrants and Islamists who clamour to lambast Britain conveniently ignore the mess in their own back yard. And so the misery they inflict on millions of their own citizens continues. At best this hypocrisy stems from the anti-Western bias so pervasive in the UN. At worst it’s a sinister calculation for UN despots to distract from the maltreatment of their own citizens. This surely must account for their latest debacle – the migration pact which declares that mass migration is a human right and criminalises any criticism of migrants. Inconceivably Britain will sign up to what can only be described as a concentrated effort to impoverish the West. Perhaps those who advocate for this pact should consider why so much migration flows towards the West and not the other way round. If it becomes legally binding our freedom will be further eroded and the West will resemble those failed states and dictatorships that so many migrants flee from. Western governments are foolish to let those who care so little for human rights impose such destructive policies on to the world. What began as an admirable ideal after the horrors of war has turned into a tyrants’ club and is no longer fit for purpose. The UN is now a gathering place for corrupt and self-serving bureaucrats to go on jollies in the world’s best capital cities, while criticising the same countries which offer them hospitality. Vulnerable victims are neglected in favour of disingenuous resolutions against the free world. Why do Western countries continue to fund the UN’s diatribes of drivel? They are paying to be admonished for imagined crimes while the real culprits literally get away with murder. Harry S Truman would be horrified to witness the monster his cherished UN has become. Previous articleReaders’ comments: Vive Le Donald!